Looking for Something a Little Different for Lunch or Dinner? How About a Taste of Peru? 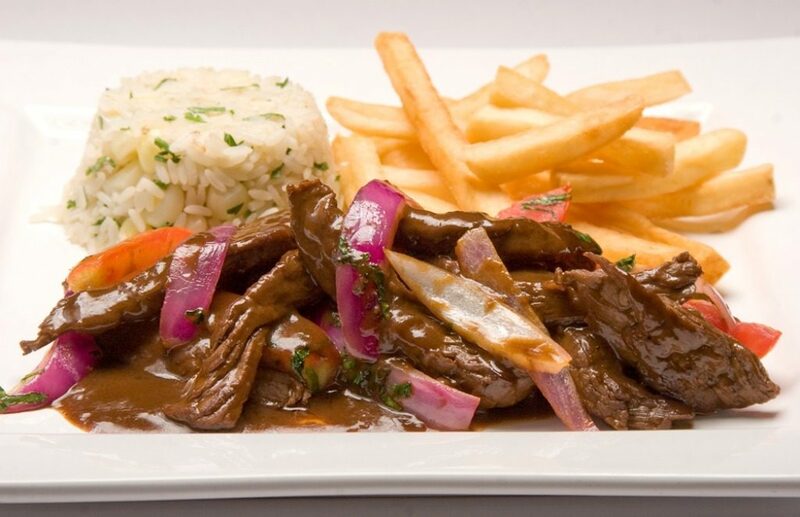 Peruvian cuisine has been described by famous food critic, Eric Asimov, as one of the world’s most important cuisines and is a perfect example of fusion cuisine due to the areas long multicultural history. Besides the native population, including the Incans, Peru cuisine has been heavily influenced by its colonizers and immigrants from Europe, Asia and West Africa. Peru is also known for its diverse crops including many types of tubers, peppers and a great selection of native fruits. 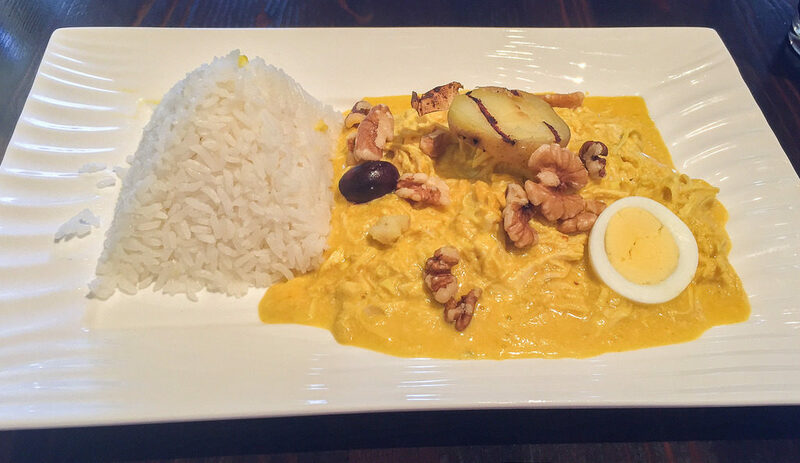 Popular Peruvian dishes regularly see Spanish, Italian, German, Chinese and Japanese influences. This fusion creates dishes that are filled with flavor and unique ingredients. Peru’s national dish. 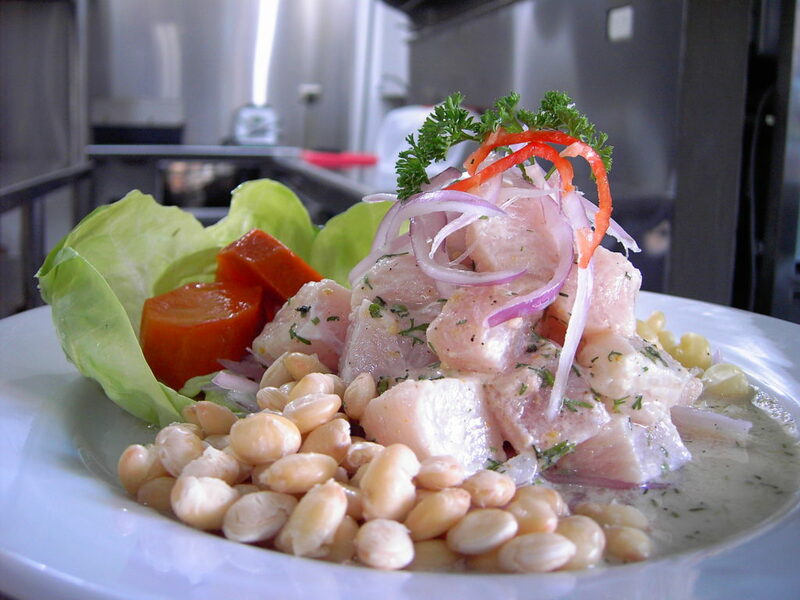 Although other countries may make their own version of it, Peru started this marinated with five simple ingredients. Sea bass mixed and marinated in lime juice, onion, salt and chilies. The marinade cold-“cooks” the fish and creates a wonderful tender fish. It also takes the bite out of the raw onions, leaving them tasting fresh, vibrant and crisp. Some local variations see a Japanese sushi-style influence by slicing the fish into thin strips. The leftover marinade (also known as tiger’s milk) is so tasty that it is often served as shots or spiked with the Peruvian strong brandy, Pisco. A Chinese influenced dish. Stir fried classic Peruvian ingredients. Soy marinated beef, onions, tomatoes, chilis and spices are stir-fried to create a rich gravy. French fries are sometimes tossed into the stir-fry (or served on the side) along with rice. This dish is found nearly everywhere across Peru and is served in nearly every Peruvian restaurant. This Peruvian comfort food is a creamy chicken stew. The sauce is made using yellow peppers, ground nuts, turmeric and cheese giving it a yellowish hue. The stew is usually served with rice, potatoes and boiled eggs. 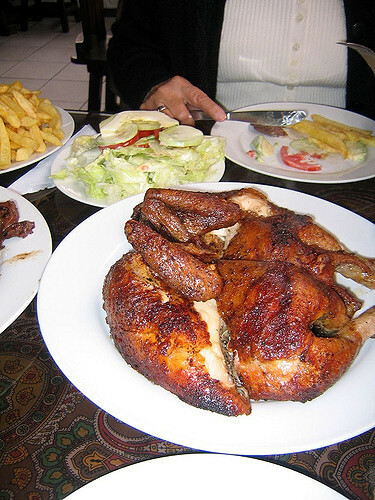 This roasted chicken is a favorite throughout Peru. Sometimes referred to as Peruvian Roasted Chicken. It is one of the most consumed dishes in Peru. The chicken is marinated in garlic, peppers and spices. The chicken is then roasted and usually served with a side of French fries and, depending on the restaurant, a variety of sauces. A popular sauce is Peruvian green Aji sauce made from a mayonnaise base with cilantro, garlic and other herbs and spices added. If you are looking for cuisine that is a little bit different, be sure to hit up Google and search for the nearest Peruvian restaurant. 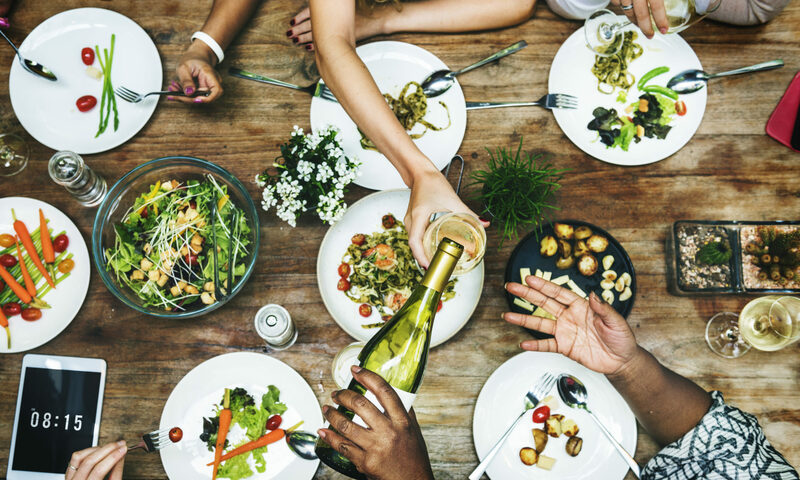 The combination of fusion cooking and unique ingredients may offer a nice spin on some familiar flavors. No matter what dishes you choose, be sure to check if they offer Pisco. This brandy is made in the wine-making regions of Peru and offers a very nice accompaniment to any dish.